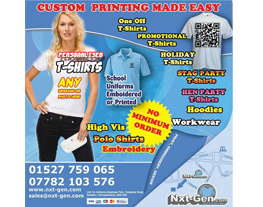 Nxt Generation are based in Redditch with national delivery. We supply many businesses in the Redditch and surrounding areas with corporate clothing, uniforms and promotional products. Our customers range from national corporations to one man bands. We print and embroider any garment. 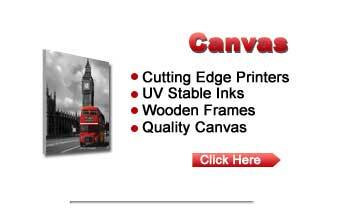 We also provide: signs, banners, vinyl stickers,vehicle graphics, mugs, mouse mats, coasters, digital printing and much more! All available in runs from 1 to many thousands. 9:00 a.m. to 17:00 Monday to Friday. Saturdays by appointment only. and lots more Gift Ideas!